* TIM HALLBOM reveals LOST METHODS of NLP – Three Little-known, Super-useful Techniques For Fast, Easy Change! 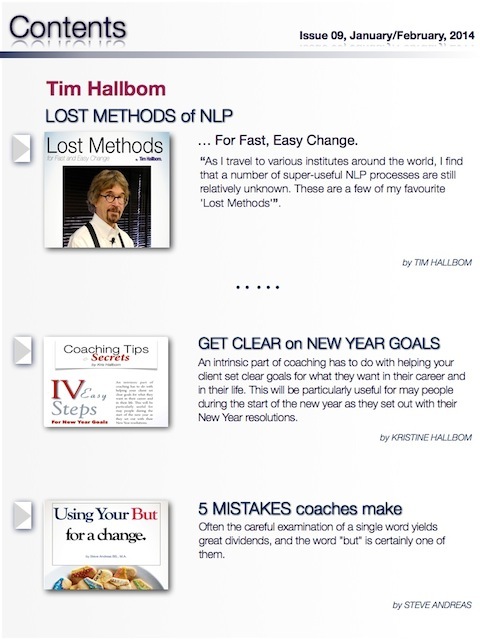 * KRIS HALLBOM talks about how to Get Your Goals Clear For An Awesome Year ahead with 4 Easy Steps to Effective Goals. * STEVE ANDREAS – Using Your But For A Change. Ever Battled With A “Yes Butter”? It’s One Word That’s Worth Mastering . 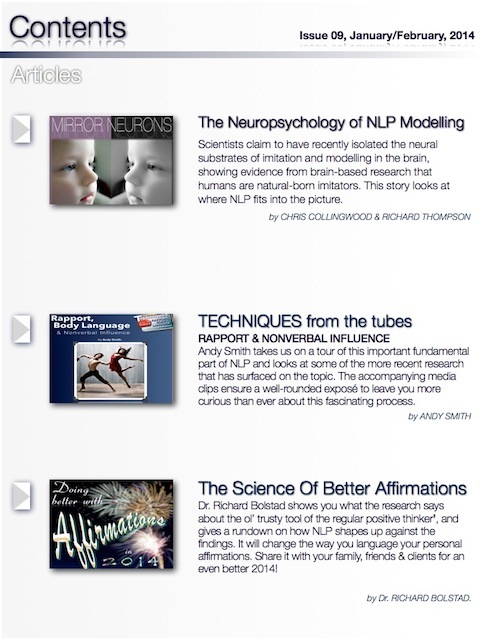 * CHRIS COLLINGWOOD & RICHARD THOMPSON – Mirror Neurons and Where NLP Fits Into Neuropsychology. * TECHNIQUES: RAPPORT and NonVerbal Influence – ANDY SMITH Takes You on a Tour of this Fundamental Part of NLP and looks at some of the research on the topic. 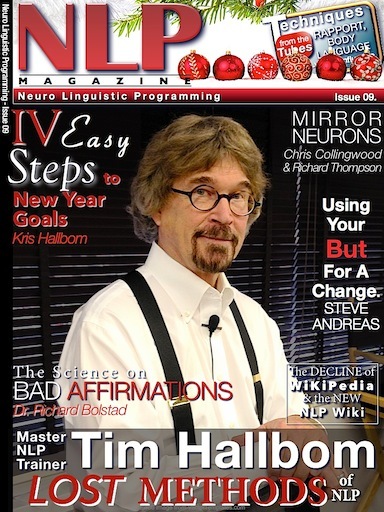 * Dr. RICHARD BOLSTAD – The Science Of Bad and Better Affirmations, and How NLP Shapes Up. Quality Change for Your Language.